In an email from a journalist last week, we were asked for some personal background. A little history of the Bulletin and the founder. 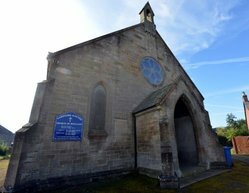 Keen to ensure regular mainstream media features that help some of our unique property owners sell their buildings such as St Ann’s Head we are helping the journalist, and others that may have questions about our not-for-profit website, written for and by unique property dwellers. For example, above is a photograph of the small private island, part of which the founder of this website was lucky to acquire a long term lease on. The lease was for the only residences on the island capable of occupation. All for the princely sum of around one pound per annum. Albeit way back in 1984. That was where our adventure began. It is also the place that gave birth to the Unique Property Bulletin. Though our main point on acquiring unusual homes? If we can do it, so can you. We expand the article below to provide background to the actual Unique Property Bulletin, and aim to show folk who want to engage in a marvellous lifestyle understand that it is possible if there is persistence, passion and determination. In this edition we hope to help curious journalists and also assist our readers. Especially those who send the If Only emails that we regularly receive. By that we mean if only the reader had the money, or skillset to go in such a direction. 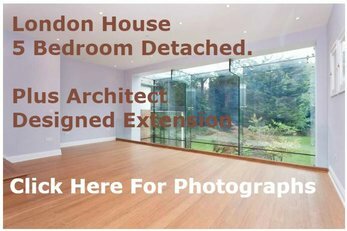 Our view, and experience is that Bulletin readers wishing to find a way for them to live in an unusual property of their choice can, and have indeed done so. On many different occasions. A wide range of unusual buildings having been featured in this publication over the years. Often such property seems an impossible dream. But we know it is possible for many of our readers. Lastly, for this edition’s feature, we have a personal message and request – an important one – for readers to help keep the Unique Property Bulletin going. NOT funds, but a simple bit of support for a petition. More details in our feature later on in this edition. The Mill House, Mill Road, West Walton, Wisbech, Norfolk, PE14 7EU. 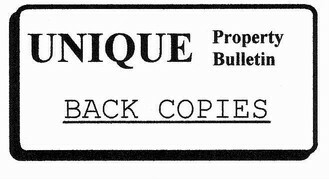 This is a perfect illustration of why it is useful thing to check out previous, older editions of the Unique Property Bulletin. The Windmill Tower, Mill Road, West Walton, Wisbech, Norfolk, PE14 7EU. The Granary, Mill Road, West Walton, Wisbech, Norfolk, PE14 7EU. When we listed this property for sale on the Bulletin last year and went “Under Offer” after a few weeks. Unfortunately the buyer back then was unable to complete, so the seller, a very nice lady, one of our favourites, has put the three detached set of buildings back up for sale. In other words: For sale back to the future. Guide: £450,000 Freehold For All Three Inclusive. Offers for individual buildings may be considered if co-ordinated for the whole – Contact Unique Property Bulletin for further details on individual building purchase protocol. Garth House, previously known as Drumcharry House is a photogenic turreted mansion, more recently used as a youth hostel. Built in the Scottish Baronial style around 1834. Now in need of renovation, this very large building stands in its own grounds of around 2.5 acres, by the River Lyon, amid forests, heather moors and dramatic mountains. Guide: £699,950 – Just over £11,000 per room! We have had a kindred unique property person telephone us from True North Television Productions about interesting property and specifically unusual homes by the sea. Quick response: How about building a Pole House by F2 Architects as featured below? True North have asked – If you are living in a unique coastal home & you’re interested in taking part in the next series…. please get in touch. Ideally resident owners. A second series has been commissioned and confirmed. Here at Unique Property Bulletin we are hoping True North Productions has Homes By The Sea is continued to a third and fourth series plus more. Homes By The Sea is presented by architectural designer Charlie Luxton, who explores the British dream of living beside the seaside. Today more than three million people across the country have made that ambition possible. Charlie embarks on a journey across Britain to visit some of the best homes by the sea. 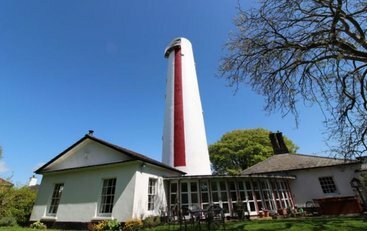 He will look at renovated cottages to new builds, converted lighthouses and grand seafront terraces. He will also design his own fantasy home in each amazing location. 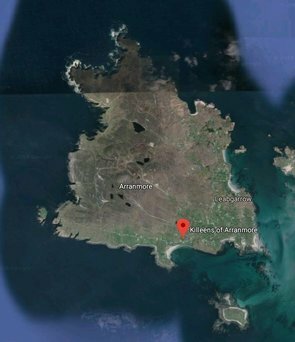 Thanks to an eagle eyed Bulletin reader for giving us the heads-up on this one to share with fellow Bulletin readers – Carbery Island, otherwise known as Mermaid Isle is for sale. This picturesque idyll comes via the Rolls-Royce of private island estate agents/realtors – Mr Harshad Vladi of the Vladi Private Islands Brokerage. For sale is half the island, plus all of this elegant luxurious house. Sited on around 13 acres of island. We know it is a little off of the beaten track for our friends at True North TV Productions, but we have our coastal home eyes peeled and ears attuned now. So for the next few weeks/months will be seeking out possible candidate properties to go onto Series 2 or hopefully series 3 of Homes By The Sea. Carbery Island consists of approximately 25 acres on the mainland lot (very useful for embarkation/disembarkation) + approximately 13 acres (half of island). 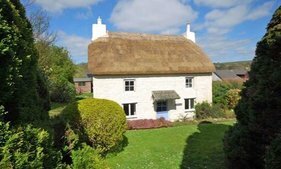 An elegant conversion of a classic Cornish Engine House. Converted by the owner in 2000 Symbolic of the mining industry in Cornwall 3 Bedrooms 3 Bathrooms 2 Receptions. Coming soon – 15th March 2015 Unique Property Bulletin edition – we have an exclusive listing of another ROC UKWMO Nuclear Bunker for sale. This one is in Norfolk. Featuring other UKWMO Bunkers for sale in addition to UKWMO at Norfolk, we have UKWMO Ashwell at £20,000. So please keep an eye out for our next Unique Property Bulletin. This is a beautiful, restored old mill which genuinely retains a host of features that pay respects to the former life of the building. Now a lovely four bedroom waterside house. Contact – Strutt & Parker Tel: 0131 226 2500 – Malcolm Leslie. This just popped onto our radar. A private listing by a keen railway aficionado. Now converted into a comfortable railway home. This former station house is a sandstone Grade II listed building and contains many of the original features. Would You Like To Share £36,000? Unique Property Bulletin is a website run on a not-for-profit basis, but it does have costs such as webhosting, IT support, computers, photography etc. However with between 30,000 and 50,000 regular readers [Group Websites Total 75,000], many active in buying and selling, we cannot help but have sales happen as a result of this Unique Property Bulletin website. Above: A Successful Unique Property Bulletin Introduction of Buyer & Seller. Can You Name This Unique Island? PLEASE NOTE: The prize is NOT the island, just the £50. Sorry we haven’t reached the level of prize value that enables islands to be awarded to winners. Yet! Love It – Please Can We Have One ! This is a wonderfully simple, yet inspirational home. On a pole! With a seaview too. This edition’s try-before-you-buy genre sampling is a charming Oast B&B in Canterbury. A 150 year old Oast House that was used for drying hops in the brewery trade. Now fully converted to residential plus B&B use. The front of the Oast is a large barn, behind which are three round kilns, capped by white ventilation cowls. An ideal few days away at this stylish retreat can give you some idea and inspiration of what Oast House and round room living is like. It may just spur you on to buy your own Oast House. Davaar Island. The First Island (c) MPL Communications Ltd.
After four years of writing here, electronically online, and over 20 years on old fashioned paper, it is an important lesson from this end to appreciate that, generally, we have three styles of literal reader – in speed reading terms. So, for the fast webpage scanner – “Short” – please trust me, and my promise that by signing the following petition you will help the Unique Property Bulletin continue. Thank you. For the “Medium” page reader here we have a little more information. Albeit still in summary form. Last edition we placed a brief weblink and asked readers to sign the petition mentioned above. The essence is that after 25 years putting a Unique Property Bulletin together, personal disablement has resulted in a couple of near misses – Bulletin wise. We have had ups and downs before, and always come through. In fact since going online there has been an amazing, and near exponential increase in regular readership from 3,500 to 50,000 [75,000 if you include sister websites such as Lighthouses For Sale and Grand Designs For Sale ]. Thanks in no small measure for very kind journalists featuring the occasional unique property from these pages. But the past couple of years have been personally difficult due to having abused my body in a previous career – ending up with back surgery. One unsung hero is a friend who takes me to and from hospital for ongoing treatment etc. I wanted, in fact still want to say thank you to this fine friend. Jokingly I said he deserved a medal. Indeed his occupation merited one. Not for what he does in looking after a person with broken body parts and general humanity, but for professional decency. I was distressed to be told by the Fire Service that firefighters like my friend who should actually have been awarded a recognition for service given – The Queen’s Diamond Jubilee Medal, were left out because the emergency services were given a restricted number of such medals, and for many firefighters, they had simply “run out”! Not receiving an award that has been earnt through risking your life because the authorities had “run out” of them seems a sad reflection of modern times. My friend asked me not to go any further. His response was the near perfect sentence regarding his vocation as a firefighter: “I don’t do it for medals”. But my own personal stubbornness this end has often resulted in interesting things happening. The above is a tangential example of a theme: persistence and determination. The QE90 Medal petition weblinked in this section will hopefully say thank you to many people. However, back on topic, and for those new to the Unique Property Bulletin, this voluntary, obscure, not-for-profit publication that shares information on unusual buildings with friends, colleagues and readers couldn’t help but buy one of these tasty, unique buildings in 1999. An accidental profit was made, and a large lump of that money went to create over 100 jobs in the following years: [Click Here]. In my philosophy, the job creation initiative was an interesting and positive result. Again tangential. But part of what goes to make the back-story of this publication. The “Long” narrative element, for those with the more forensic desire to acquire information and detail and derive leisure and pleasure from reading a more fulsome narrative, here goes. Thanks to all of you wonderful, marvellous and amazing readers, and I personally love every one of you, especially those who email in with interesting offsite dialogue – you, yes you helped us reach a milestone I never imagined possible. Over 1,000,000 page views since going online. Our current readership level ranges between 30,000 to 50,000 depending on several measurements. The Bulletin IT chap, now sadly departed, had a complex internet algorithmic formula that if applied today would favour the 50,000. But the current writers here are self-confessed computer dinosaurs, and prefer to err on the 30,000 level. All of this is living proof that dotage doesn’t mean you are prevented from learning how to get online. Quite the reverse, and it is a nice thought that this may give hope to others in their 40s, and 50s etc., to consider learning how to utilise the wonders that the internet has to offer. Especially in, for example, realising your dreams: of buying that unique property you have in your mind’s eye. The internet revolution, with people being able to work remotely online and earn a living has certainly solved a historic problem we saw in the 1980s that beset many folk who wished to live in splendidly remote areas, where quite a few of our featured properties are built. Nowadays, the internet makes this possible. The statistics that drive online work can be staggering. The Bulletin has just a small, but illuminating example of this perspective. But with 30,000 readers on a low-read edition and up to 75,000 on a good global series we had hoped for a little better turnout. After due reflection of the “7” petition signatories [thank you by the way], we are firm believers that it is our fault at not putting the message across clearly, or well enough. Hence pressing the importance of this QE90 Medal petition to the continuation of the Unique Property Bulletin in this article. At this point you may rightly be asking why go to all this bother? Why the stubbornness? Apart from the fact that Unique Property Bulletin would have been off-line for either a couple of months, or permanently, it is a matter of personal persistence and determination to make that petition work – that those who help others should have a proper show of appreciation. Since uploading the QE90 Medal website for emergency workers, it has been a source of great comfort to receive a letter from 10 Downing Street advising that an award is in the process of being created for PART of the request that we are campaigning for [QE90 News]. NOT likely as a result of the website, nor the 50 odd Shawshank Redemption persistent style letters written about this to the appropriate channels and emergency services etc., since November 2014, but because many other folk in the UK recognise, for example that the courageous medics and emergency personnel who go to help those stricken in West Africa should be recognised. It is very reassuring that other folk think along these lines too. Letters and petitions work. I can show you proof of a way this worked elsewhere, and links are given further down the page. All 3,269 tons of what was achieved – plus several million pounds of money secured to structurally improve two local economies. However, getting back to where we should be, because that is what you are joining in reading Unique Property Bulletin for, the message here, apart from the emphasis on saying a hearty thank you to someone who cares about others – and many like him that have a vocation in the emergency services, is that persistence and determination is what I am endeavouring to highlight here. I can guarantee it works. Offsite we campaigned for many years, and that included a petition with just 3,323 signatures [ Click Here ] which helped result in a successful outcome [ Click Here ]. These are two words that probably feature most in the emails we receive at the Bulletin. Why? Well through life I have found cycles of prosperity and dry-wallet occur time after time. One such event was when the amazing Art Deco Keil Hotel came up for sale at an astonishing price of £59,900. Eventually negotiated down to £24,000. The location was the most unique thing. By Sir Paul McCartney’s Mull of Kintyre. But with only £12,000 cash at hand and a building that was unmortgageable, what to do to raise the other £12,000? Persistence and Determination. The result? Two friends, via the Unique Property Bulletin of 1999 came alongside and joined one of first adventures. Each friend put £6,000 into the kitty and the required total £24,000 price tag was duly paid across to our solicitors and a neat set of title deeds received in return. Plus one Brobdingnagian sized building. Plan A was to refurbish it. However, after a mind numbing and frustrating discourse with a truly appalling government regeneration organisation we decided to just sell the building. Then something really unexpected happened. Ailsa Craig Island. The Second One. Is This Your Flavour of Adventure? Made possible thanks, in part to the good old Keil Hotel Unique Property Syndicate funds growing and moving forward. Food for thought for your own unique property endeavour? In fact one of my Keil Hotel friends has adopted the phrase Plan B as his enduring mantra. Not every day that £6,000 is near quadrupled. The unique property adventures are excellent, but the growth of core funds can also be a lot of fun too. Not least because it confirms an abiding fact. When you ask of yourself, or email us (which we very much welcome) mentioning that “If Only” you could afford this unique building or that, take a moment. We believe you can. It was only by staying true to these two words that we turned “If Only” into actual dreams being realised. If we can do it, surely so can you? Here’s the thing. After all of the above is said and done, what has been the lifelong companion needs words placed on paper – a personal thanks to Unique Property Bulletin. This semi-autonomous thing that has been an abiding friend and companion for over quarter of a century. More than that, it has provided friendships with fellow Bulletin readers, members and colleagues that have lasted equally as long. For that I cannot say thank you enough. From experience I know if we can help pump-prime the petition to 1,000 signatures and add a lot of letter writing this end, then there is a very good likelihood of achieving something that will mean a lot to many folk all over the country – not just the one friend, for whom this personal treatise has been the inspiration for. This edition’s article has been a little unusual, but hey, that is the whole purpose of this website. The unusual. Whether that be in action, philosophy of life, or as a unique place to live.